This page describes the situation of my QTH. I use 2 QTH's (both JO21QK). My house and a small hilltop 25m higher and 250 meter from my house. I have an antenna on top of my house 9 meters above ground. But nowadays it is only usable from 432MHz and up. Below that frequency I have a high level of manmade noise. Fortunately, I have nearly no manmade noise at the back of the house at 6 meters above the ground. The house itself shields me from the rest of the residential area. 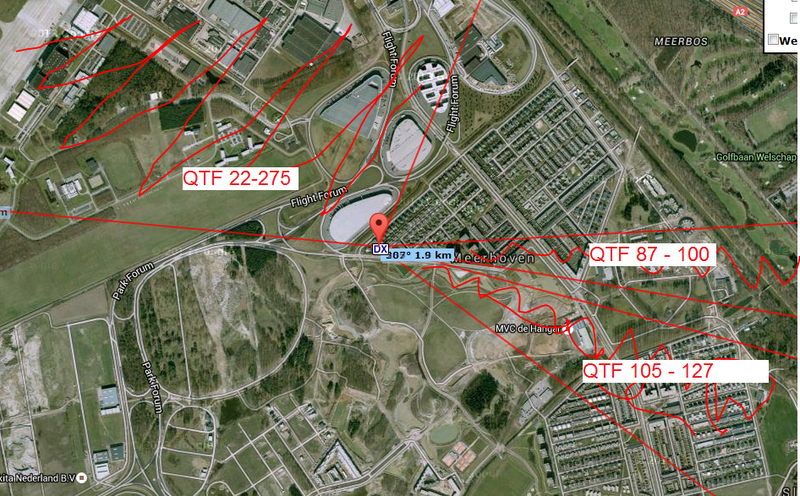 On the other hand, that direction is also shielded from qso's. The house is on the line 140 - 320 degrees. When I put the antenna mast into the back of the garden, the minimum qtf is 99 degrees. That's just enough to work OK stations. The hilltop is only suitable for portable use. I have to go for a walk with batteries to get there. Take off blocking from my House. 270 - 22 degrees. 82 - 100 degrees. 105 - 127 degrees. Very high noise between 15 - 25 degrees. And 100 degrees azimuth. The city of Eindhoven is between 82 and 127 degrees. It appears mainly from microwave qso's that qtf140 is a good direction. 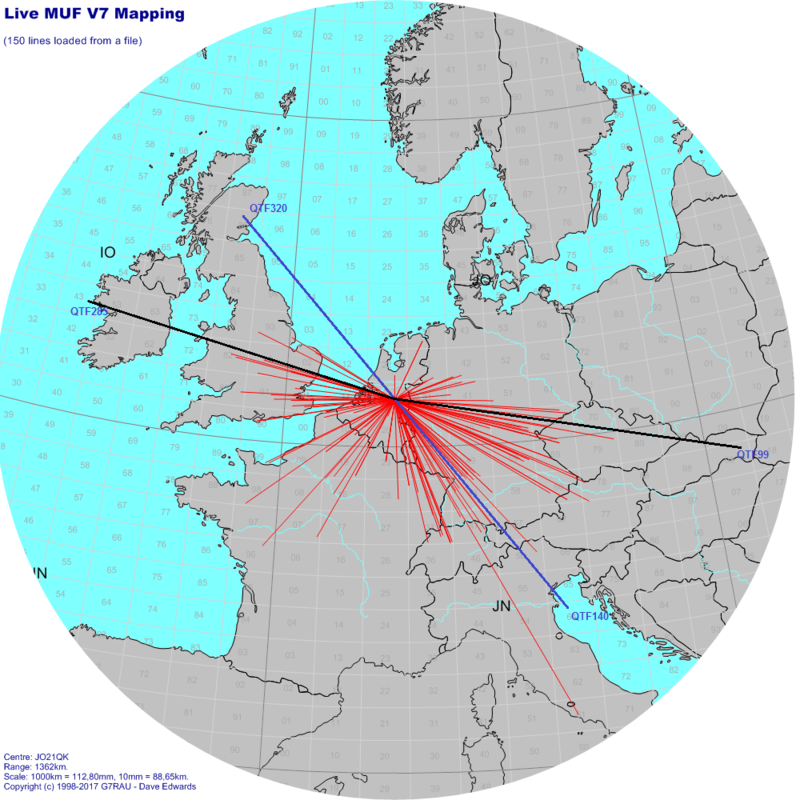 144MHz tropo qso's plotted. Blue line is my house orientation. Black line's is de main blocking for an antenna in the garden.